I’m back today to share more of my Top 8 Lessons Learned in 8 Years of Indie Publishing, and I want to share with you one key component to a successful self-publishing strategy. Right now, everyone seems to be preaching short-term tactics. “Here’s how you can make money fast with this simple hack.” Well, I hate to break it to you, but self-publishing really isn’t a get rich quick scheme. Sure, there is money to be made in following short-term tactics, but if you truly want a lasting career and not just a flash moment in time where you kind of made some money, you’re going to need to think long term. This is advice I really wish I’d had a few years ago, believe me. See, I made a huge mistake. I thought as long as I was following my passion, I would be fine. I’m a huge believer in following your passion and writing what you love, but I have also learned that if you want to be as successful as possible (for as long as possible), you have to learn to balance your passion with solid, long-term strategies. 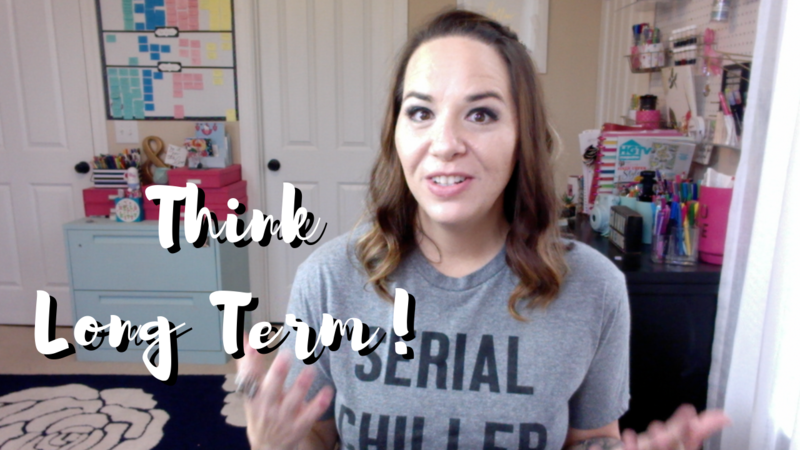 Watch today’s video on why thinking long term is one of the most successful self-publishing strategies out there. The truth is, I could probably talk about this for hours. In the end, your passion should still direct your focus. Write what you love. Do what feels good and be true to yourself. But creating a successful strategy for self-publishing means taking every single decision you make and considering how it will affect your career long term. I am seriously warning you against taking any decision lightly, no matter how passionate you may be about it. Things like switching genres, changing your branding, starting a new series all will affect your career for years to come. Maybe forever. Before you jump in head first to anything, take some time to examine your desires. How will this decision affect you in the long run? Sometimes, you know it’s going to be an uphill battle, but you have to do it anyway. Sometimes you’ll be so passionate about the life and career you want that you just have to make a decision that might not be the easiest path in the long term, and that’s okay. The key is that you considered it and you are going into it with your eyes wide open, aware of the challenges you’ll face. It’s when you leap without looking at how it might affect you that you start to get yourself into trouble. Trust me on this one. I’ll be continuing this series every other day until we get through all 8 tips. I hope you’ve been enjoying it so far!